The American Health Council recognizes Mark Milunski, MD as “America’s Best Doctor” for his outstanding contributions to the medical field. Currently the chief of cardiology at the Orlando Veterans Administration Medical Center, Dr. Milunski manages the overall administration for the Cardiology Section while practicing clinical responsibilities, including general and consultative cardiology. 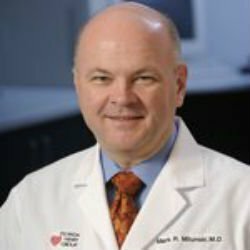 While he has held his current role for three years, Dr. Milunski has spent 34 years in the healthcare industry garnering comprehensive skills and knowledge in education, evaluations, cardiology, internal medicine, heart failure and transplantation, echocardiography and nuclear cardiology. Inspired by a cardiologist neighbor, Dr. Milunski decided to pursue a career in cardiology. After earning a bachelor’s degree in biology from Rensselaer Polytechnic Institute in 1976, he received a biology master’s degree from Wagner College in 1978. In 1984, he earned a medical degree from Albany Medical College and completed an internal medicine residency at Duke University School of Medicine in 1987. That same year, he began a cardiovascular disease fellowship at the Washington University in St. Louis School of Medicine, where he first performed basic research in ultrasonic tissue characterization of myocardium for two years before performing two years of clinical cardiology with an emphasis on heart failure and cardiac transplantation. After completing the fellowship in 1991, Dr. Milunski immediately began practicing his skills to launch a successful career. In 1993, he served as a partner at the Florida Heart Group in the Florida Hospital Medical Group and remained in that role for an impressive 21 years. In 2014, he decided to depart from a private practice setting and accepted a staff cardiologist position at the Orlando Veterans Administration Medical Center. He was later appointed chief of cardiology, where he now dedicates his time to crafting a new Cardiology Section in preparation for the center’s transition to the new tertiary care hospital in Lake Nona, Fla.
Board certified in cardiovascular disease and internal medicine, Dr. Milunski’s skills earned him several accolades and honors throughout his career, including the Regional Top Doctor in 2013 and 2014, the Best Doctor in America in 2011 and the Physician of the Quarter in 2002. He is an active member of the American Heart Association and is a fellow of the American College of Physicians and the American College of Cardiology. In his free time, Dr. Milunski enjoys spending time with his family, traveling, hiking and spending time outdoors. With a successful career at hand, he attributes his achievements to remaining focused on providing optimal patient care. He plans to maintain his success by expanding the Cardiology Department at the Orlando Veterans Administration Medical Center. VHA Medical Centers provide a wide range of services including traditional hospital-based services such as surgery, critical care, mental health, orthopedics, pharmacy, radiology and physical therapy. In addition, most of our medical centers offer additional medical and surgical specialty services including audiology & speech pathology, dermatology, dental, geriatrics, neurology, oncology, podiatry, prosthetics, urology, and vision care. Some medical centers also offer advanced services such as organ transplants and plastic surgery.